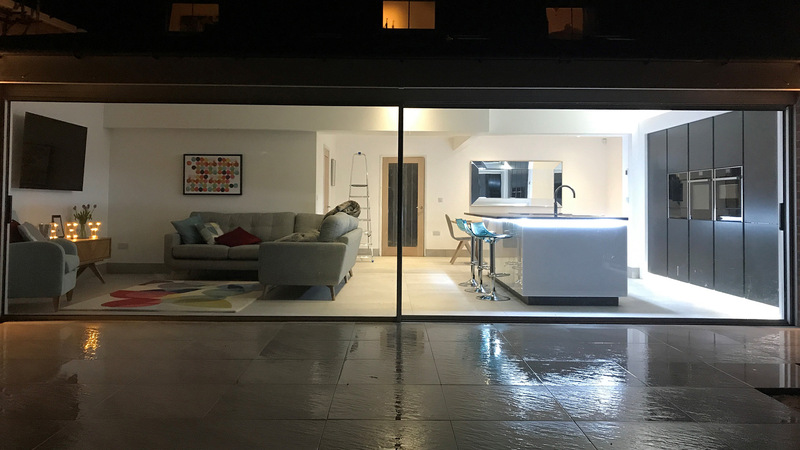 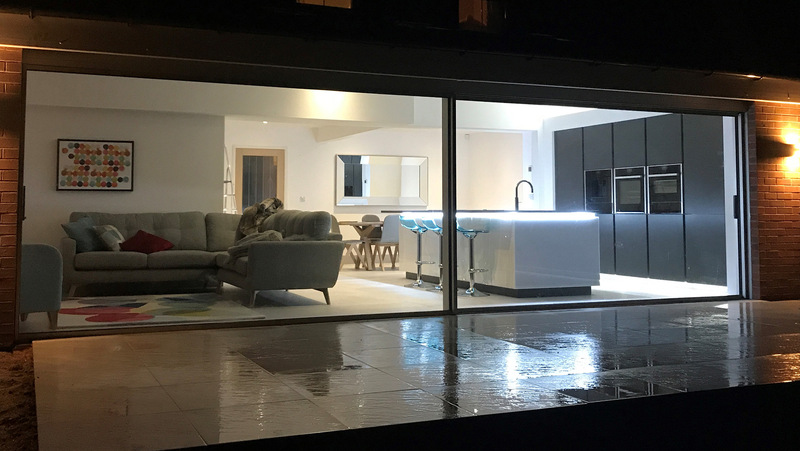 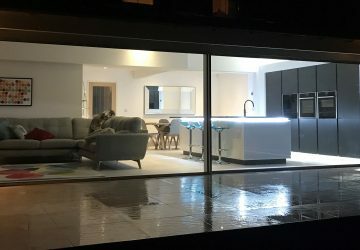 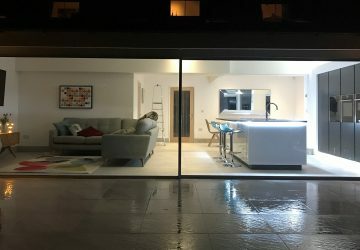 7-metre Solarlux Cero slim-profile sliding doors. 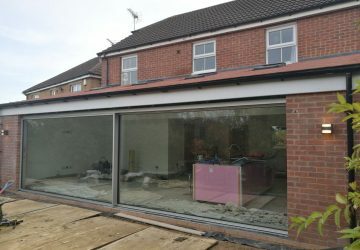 These doors can slide from either end. 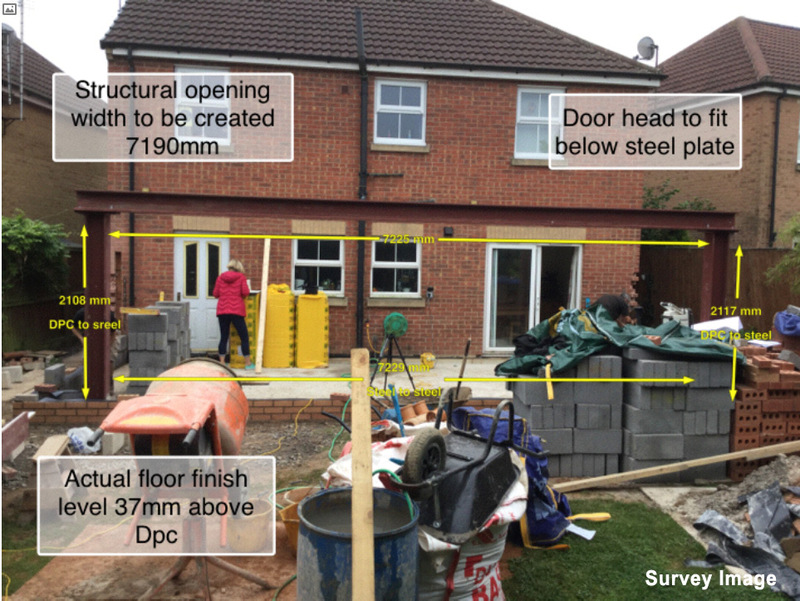 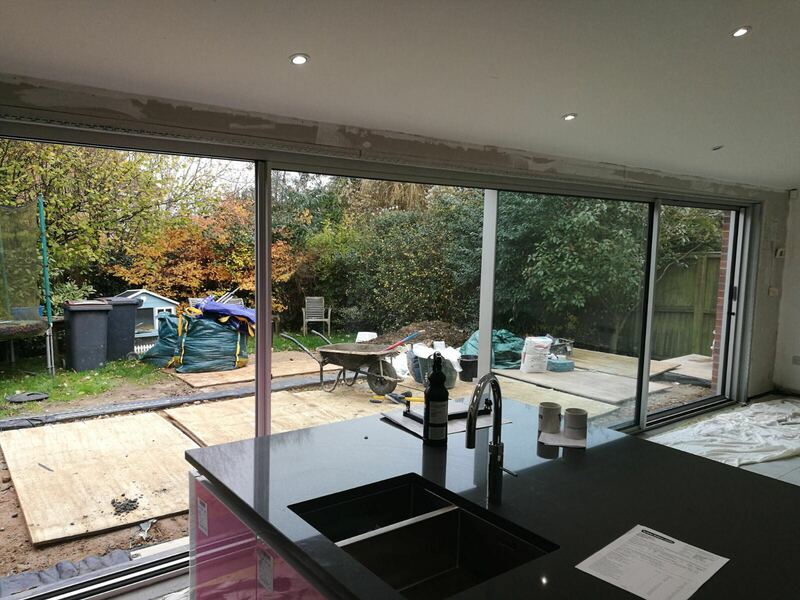 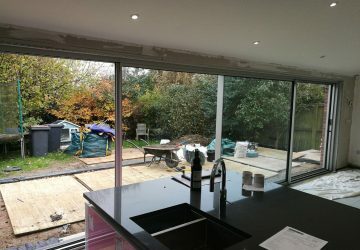 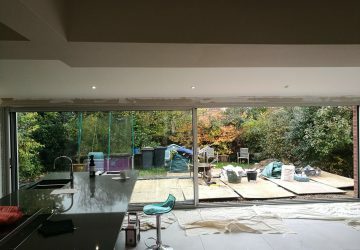 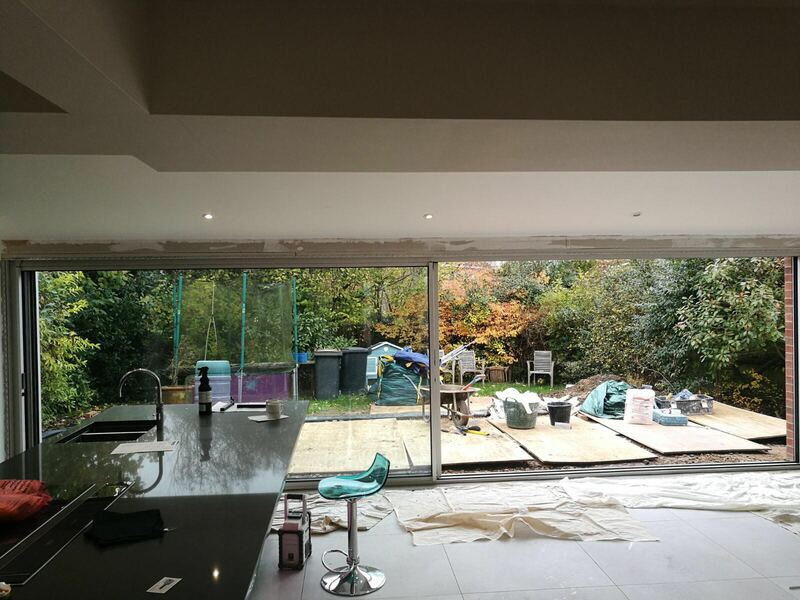 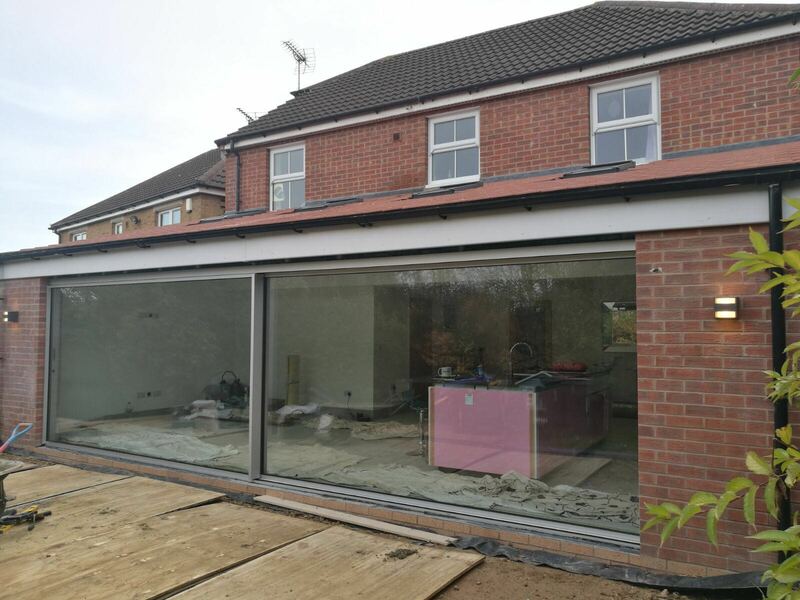 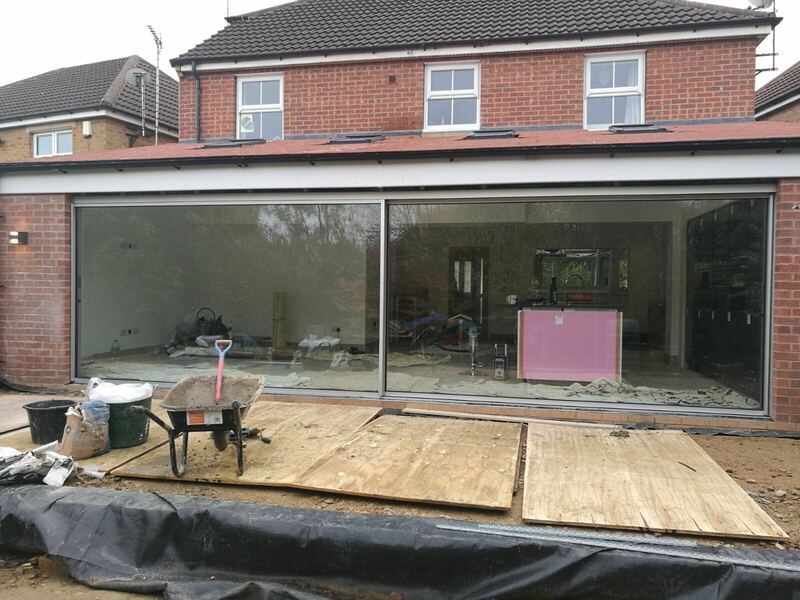 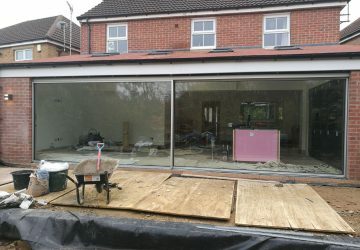 Each panel is over 3.5m wide in this residential dining/kitchen extension. 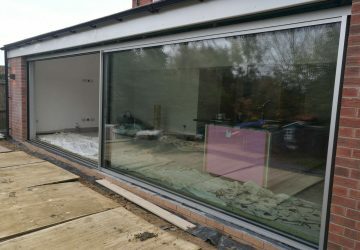 Both doors are sliding, and the finish is Satin Silver Anodised. 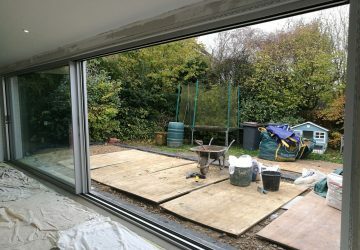 A flush track was fitted for a barrier-free opening. 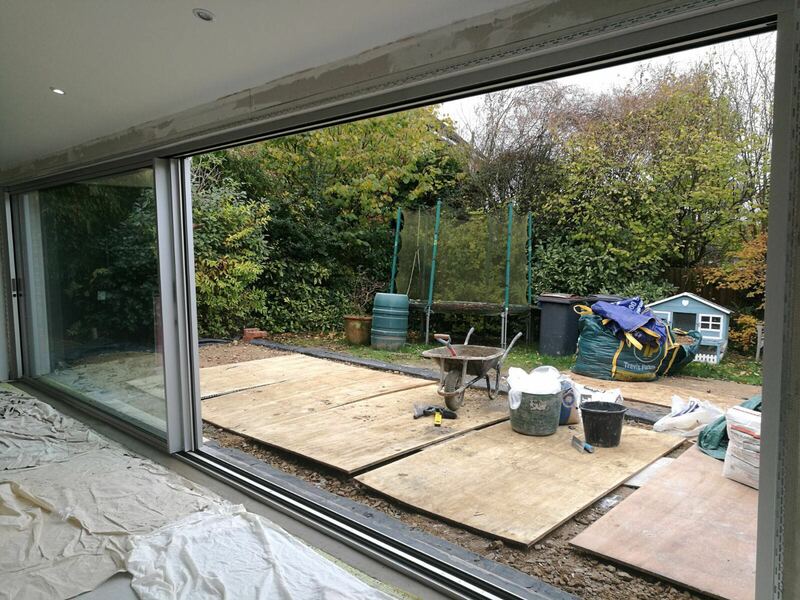 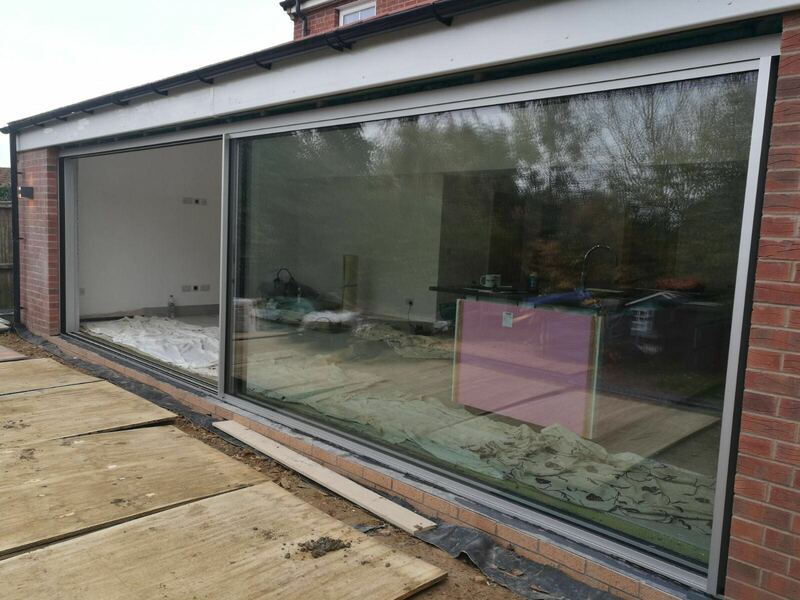 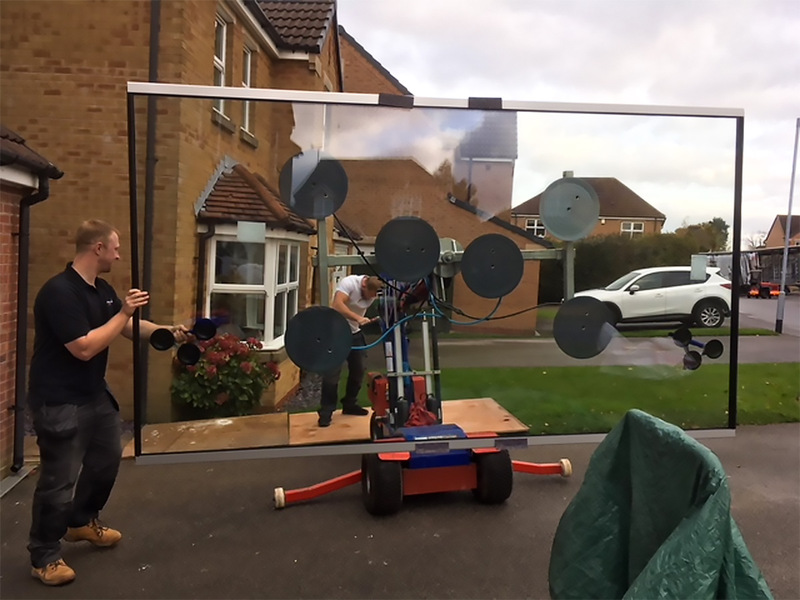 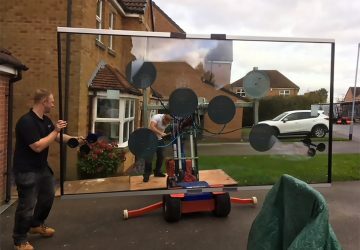 The doors were installed using OSCAR, our glazing robot, due to the huge weight of the doors. 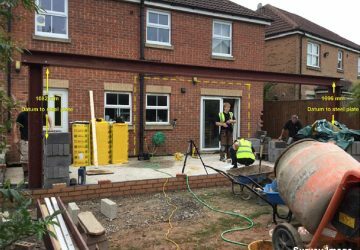 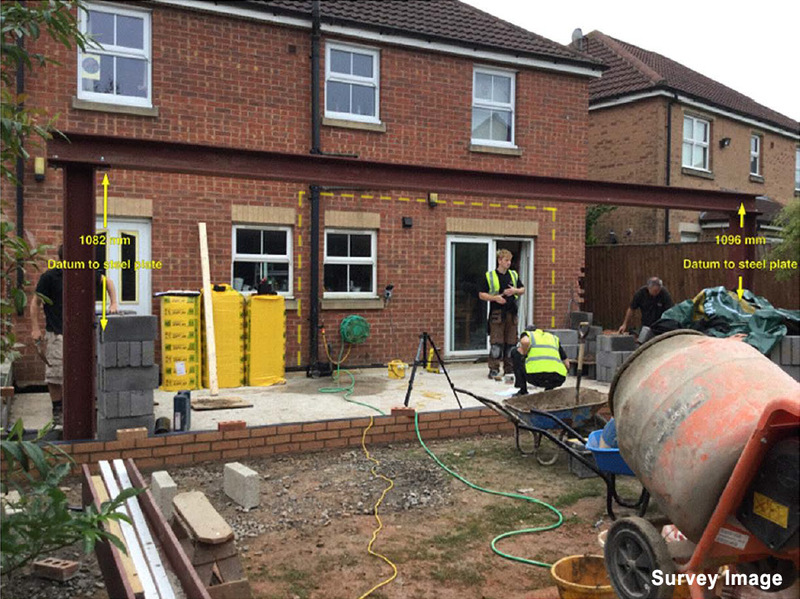 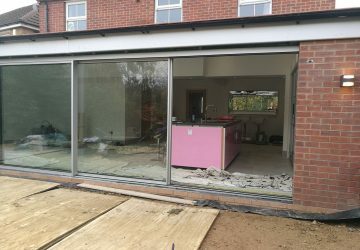 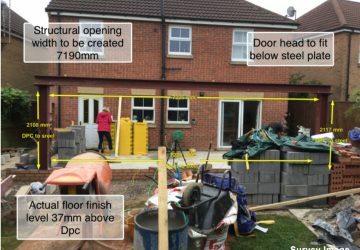 On the day, delivery of the doors was unavoidably delayed but the clients understandably didn't want to leave the doors outside over the weekend. 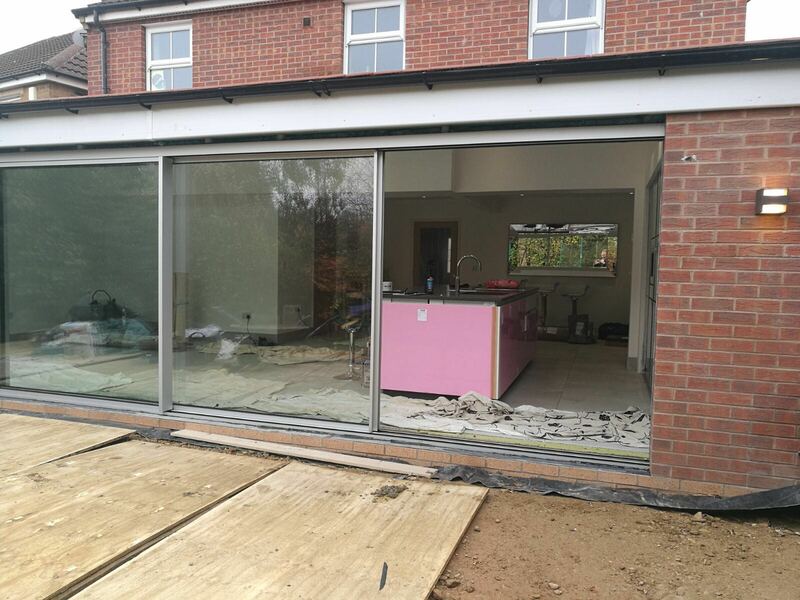 So our installers, Mark and Luke, agreed to work until 8pm on a Friday evening to get them installed and secure. 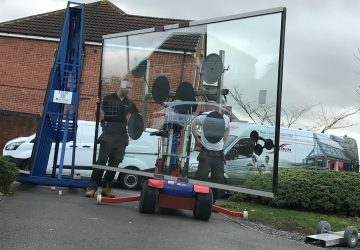 Going the extra mile!